Pretty straight forward advice right? 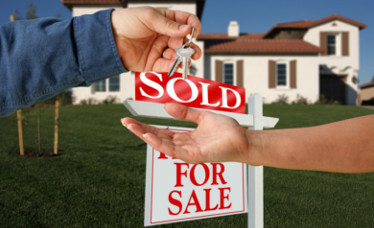 Assumption can be a real deal killer in the real estate world. Making sure to talk to everyone involved in your homes closing is vital to ensuring a sucessful deal. It is a good idea to speak with your representation about a week before the close so that everyone is on the same page and knows what to expect. By law you have the right to review all closing paperwork 24 hours before the close. In general you should have all of the paperwork before you walk into your closing. This is something people sometimes neglect to do because they are nervous about the sale or not wanting to bother the realtor. This may come back to bite you in the end so be sure you know exactly what you will be siging before you attend your closing. 3.) Don't Forget The Check! There are a few things you will need to be sure and bring with you to your closing. A check for the purchase, identification, copy of the homeowners insurance policy, and the good-faith estimate. For the check you will most likely need to get a certified check, you may also instead do a wire transfer. One thing to note about the wire transfer is that it could possibly delay the closing. Most think that a wire transfer would be a faster choice, but the sale can't be closed on untill the transfer has gone through. Depending on when you request the transfer and what banks are involved a wire transfer could take much longer for your particular situation. Assuming everyone involved has done their due diligence a closing might only take thirty minutes. That is of course if everything goes smoothly, the reality is that delays occur for various reasons all the time. Keeping this in mind, making the decision to try and close on your lunch break may not be the best course of action. Make sure to double sometimes tripple check all paperwork that is being signed. Don't let being rushed affect a purchase, even something as small as a typo could delay a closing. This is another good reason to take the entire day off for your closing. Lastly try and plan your closing for the morning, that way if there are delays or complications you can try and get them fixed and complete the deal that day.